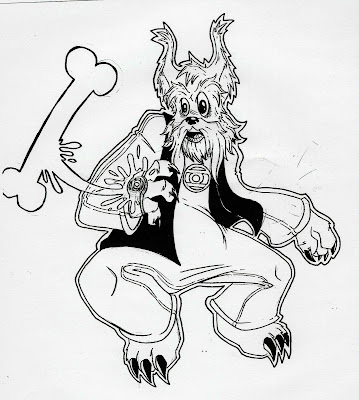 OTTOCON1: The art of Joel Jackson: Drawing of the day 025...G'NORT! This is G'nort. He is a Green Lantern. He is the dumbest Green Lantern. He is my favorite Green Lantern. I think I will be finishing this piece in illustrator and I will post it wen I am done with it. I find it very fitting that this is your favorite Green Lantern member.